PET- und SICHERHEITSBESTÄTIGUNGEN sind erstattungsfähig. Long Term: Keine langfristigen. Keine monatlichen Mieten. Keine Ausnahmen. Dies ist ein schönes Haus mit Panoramablick auf das Meer. Die Aussicht ist absolut spektakulär! Blick auf die Küste für immer. Es gibt auch einen Blick auf den Point Arena Leuchtturm. Achten Sie durch die Glaswände der Steilküste nach Hause und sich die Sehenswürdigkeiten, dass ein hochfliegender Adler sehen. Genießen Sie ein Glas Wein, während Sie den herrlichen Pazifik brechen gegen die Felsen unten am Rand des Grundstücks. Wenn Sie das Meer lieben Sie lieben dieses Haus. Mach es dir in die Wärme des eigenen privaten Whirlpool, während Sie die ungezähmten Wellen von der Nordküste Spitzen und Absturz unten. Setzen Sie sich bequem mit einem Buch in den Fensterbänken, während Spotting die Migration Wale. Tauchen Sie ein in die großen Jet Badewanne oder Filme während der Sitzung durch den großen Kamin. Genießen Sie einen persönlichen Zugang zu einer geschlossenen, privaten Sand, isoliert sechs Meile Strand. Dieses Haus ist ein perfektes Ferienhaus. Romantisch, warm und komfortabel mit einer modernen Einrichtung bietet Ihnen dieses einzigartig gestaltete Haus bietet alles was das Herz begehrt. Das White Water Ocean Front Haus verfügt über 2 Schlafzimmer mit 1 Queen-Bett in jedem und ein Schlafsofa im Wohnzimmer. Zentrale Wärme hält jedes Zimmer gemütlich und warm. Ein Full-Size-Küche können Sie den Aufenthalt in Ihre eigenen Mahlzeiten zu kochen, oder Sie können in der Nähe gehen, um zahlreiche Möglichkeiten der einzigartigen Restaurants. VERFÜGBARKEIT: Überprüfen Sie den Kalender (rechte Spalte) auf Verfügbarkeit. FRÜH BUCHEN: Zu sichern Sie Ihre Termine frühzeitig buchen. Ferien und Sondertage wie Valentinstag Buch sehr früh, in der Regel 2-3 Monate im Voraus. Das Haus herrliche weiße Wasser Blick von innen die meisten Haus als auch außerhalb des Hauses, Hirsche kommen bis zum Haus. Voll ausgestattete Küche. Riesige Schlafzimmer mit Sitzecke, begehbarer Kleiderschrank, Jacuzzi-Wanne und Bidet. Zwei Schlafzimmer mit 1 Queen-Size-Bett in jedem und ein Schlafsofa im Wohnzimmer. 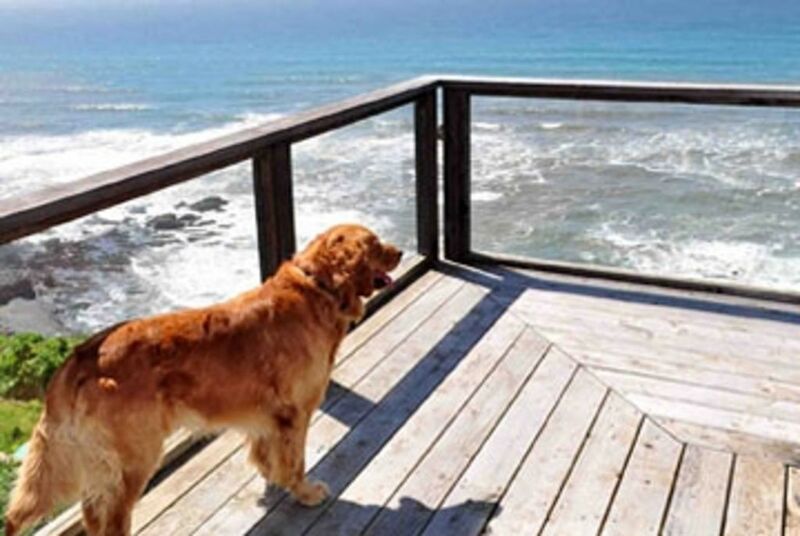 This is our 4th stay at this home, great view and it's very comfortable, love the private hot tub over looking the ocean and the fact they allow dogs, well supplied kitchen, really appreciate the upgrades since our last visit, new Refrigerator and most of all the new sofa....thank you! thank you! the old one was getting pretty disgusting, the only thing I can recommend is that the home get a deep cleaning a couple of times a year, its obvious that it gets a quick clean between guests and that's it, lots of dust cobwebs etc and it needs some basic maintenance, these are the sole reasons I can't give a 5 star rating, but they have no real impact on our enjoyment of this home. I'm sure we will be back for a 5th visit. Interior stairs need railings for kids and the elderly or for people with slight mobility problems. Another railing from porch up to driveway would be a great help. Need to warn people about the very very steep driveway. Also that pets will not have any "yard" and will need to be walked or driven to an appropriate area. BUT the view is what we came for and it was spectacular! Glad we had our 5 days. Great views.... but the beds need to be replaced. This is my second time at the Morgan house. The home is simple, but cozy. The window seats are great to relax on and enjoy the view. We went during the worst storm and flooding in 20 to 30 years. It was definitely an adventure. But the beds are terrible. They are the same beds that were there 4 years ago when I stayed. And they needed to be replaced then. I generally can sleep anywhere but I was so uncomfortable and had back aches. The second night we slept in the spare room because that bed was a little better. One night I ended up sleeping on the window seats. I would give three stars because of the beds, but I decided not to and instead ask that you please get new beds and pillows. Your guests would greatly appreciate it!!! Vicki the property manager and housekeeper is amazing. She checked on us after the power went out to make sure we were okay and knew where the emergency candles were. She also helped me figure out how to get home after highways 128 and 1 were closed. I would highly recommend that you bring your own pillows. Cozy blanket for lounging on the window seats. PLEASE PLEASE GET NEW BEDS!!! Third time coming to this beautiful Ocean View Home. Very relaxing. Bluff top location, cozy house, great for 1 or 2 couples to visit the coast. Wonderful property. Beautiful location. The view is exceptional. Morning coffee by the bay window and listening to the ocean is absolutely wonderful. Nur eine 1/2 Stunde vom Mammutbäume, 1/2 Stunde von Weingütern, 1/2 Stunde von einem Leuchtturm, Walbeobachtung, Seestücke aus dem Haus, Tauchen, Abalone Tauchen, sowohl Meer und Fluss Kajak, Lachsfischen, und andere Sport Angeln.